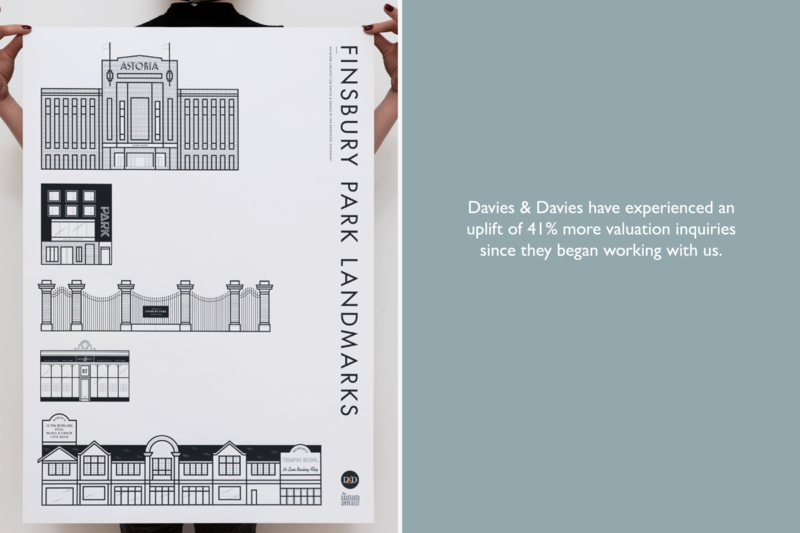 An independent, market-leading property consultancy based in North London. 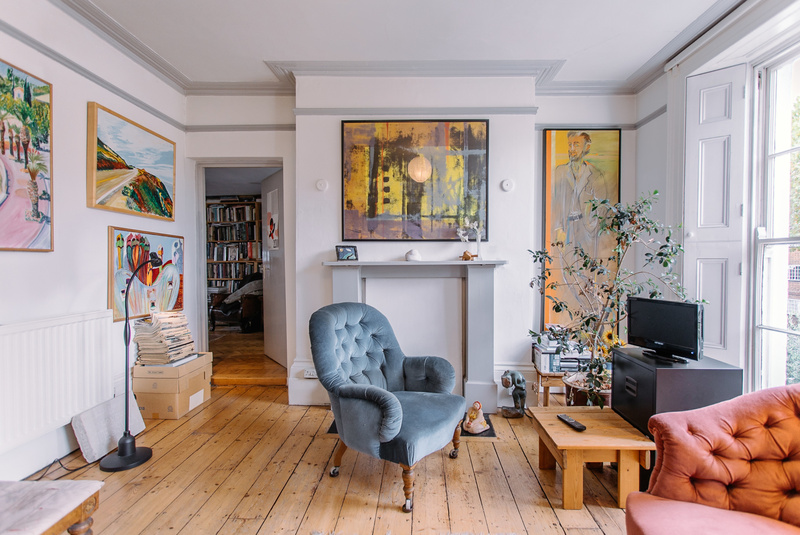 They are also now multi-award winning agents and have been voted as the 7th best estate agent in the UK by the Best Estate Agency Guide 2019. 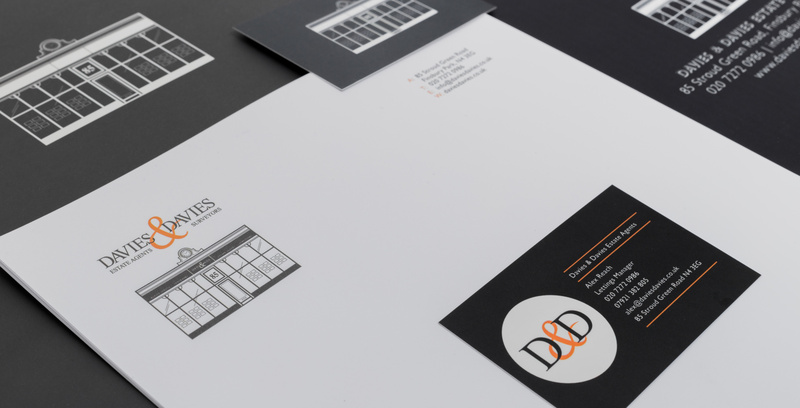 D&D’s branding needed a refresh and they wanted us to pull their marketing into the 21st Century. 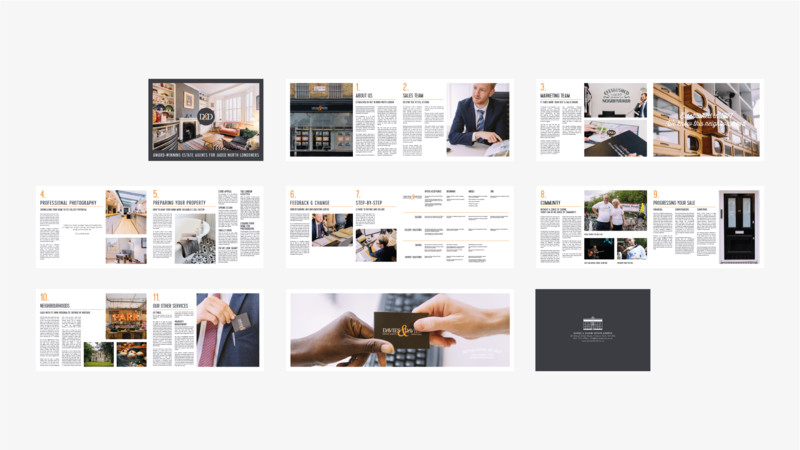 They wanted to find their voice, inject life into how they communicated with their customers and completely rebuild their website (which was slow, clunky and old fashioned). D&D believe it’s their job to make their customer’s lives easier, give back to their local community and lead by example in order to create meaningful change in an industry plagued by poor practices and negative perceptions. No mean feat. 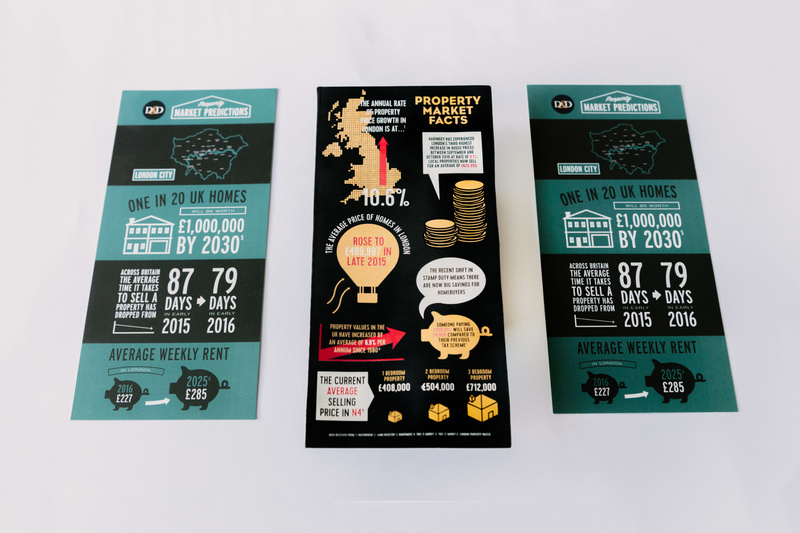 D&D wanted to highlight their progressive yet warm hearted approach to estate agency, coupled with their longstanding local heritage, within their brand identity and marketing output. 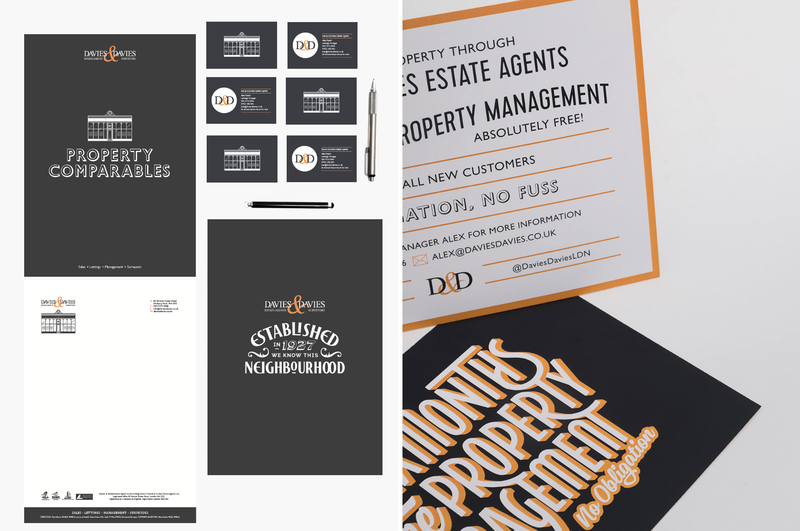 In response, we rebuilt the D&D brand to create a humanised identity with tonnes of personality. 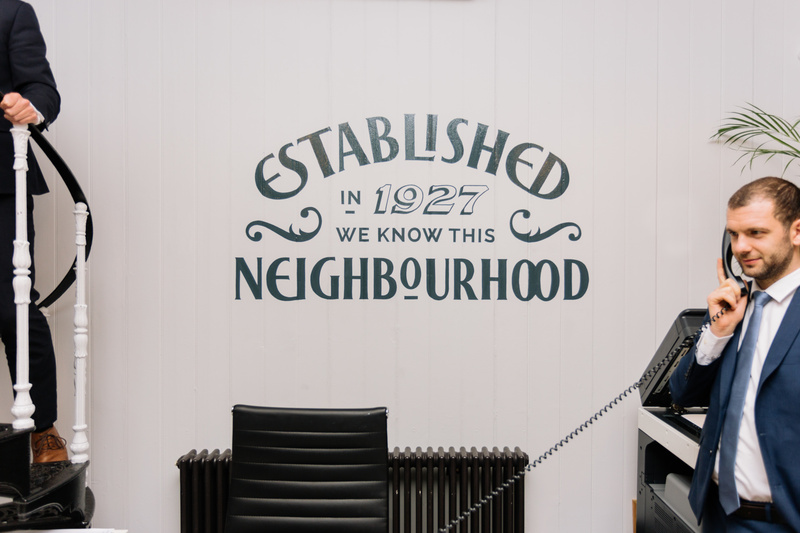 The business was established in 1927, so we adapted traditional Art Deco design practices to produce their brand illustration and lettering. 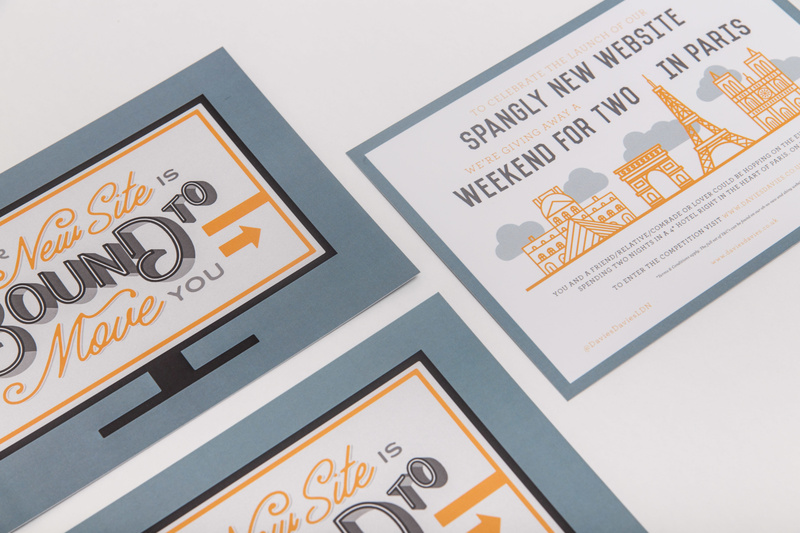 We then added modernised brand fonts and a bold colour palette. 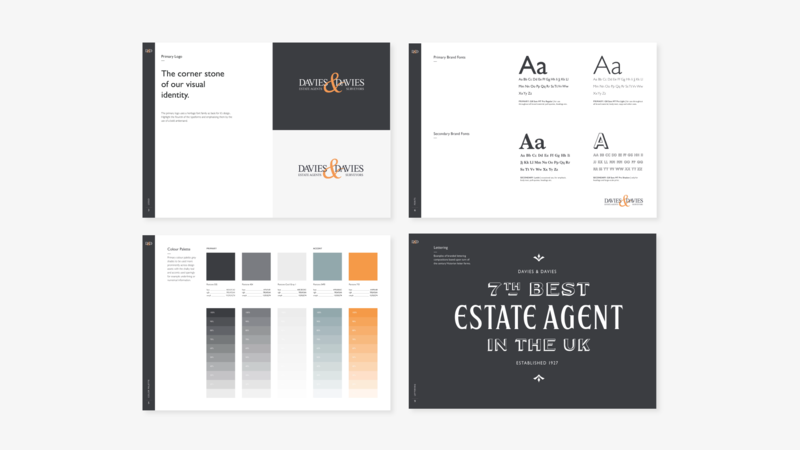 The brand voice and aesthetics were somewhat clichéd and we wanted to knock down some of the preconceived notions about estate agency, whilst playing upon these stereotypes and poking fun at the notorious reputation of the industry. So we developed a new brand language that uses a deliberately friendly and witty tone-of-voice and created humorous slogans, puns and fun artwork that clearly separates D&D from their competitors. Their new website is a thing of beauty, with a heavy focus on bespoke imagery, user experience and the client journey (click here to view it). 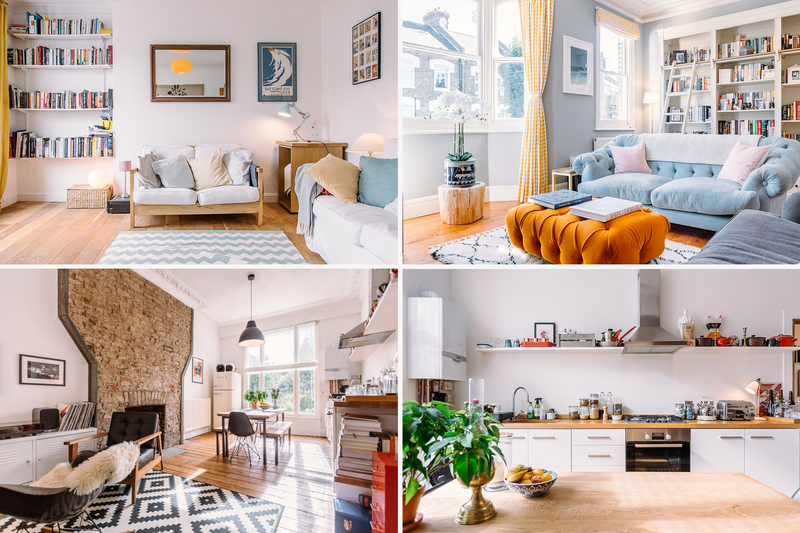 We also deliver bespoke property photography, videography, property descriptions and handle all marketing campaigns and brand strategy for D&D. Their brand positioning is now smarter and fresher. 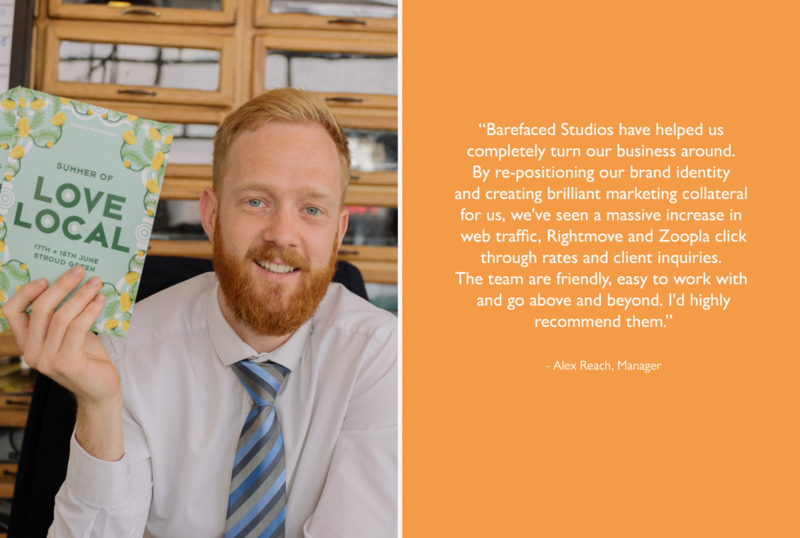 We’ve created and overseen strategies to help them increase their market share, improve brand recall and retain clients. They’re now a market-leading agent and were voted as the 7th best estate agent in the UK by the Best Estate Agents Guide. Moreover, our relationship with D&D has become pretty serious (they basically put a ring on it) and we’re proud to say that we’ve become their brand and marketing partner.